With Sebastian Giovinco and Jozy Altidore leading the line, Tosaint Ricketts (UW-Green Bay) can be a bit overshadowed in the Toronto FC attack. Reports surfaced over the past month that the Orlando Pride were in discussions to sign Brazilian star Marta, the five-time FIFA World Player of the Year. The National Women's Soccer League team did just that on Friday. J.C. Banks (Milwaukee Riverside/UW-Green Bay) couldn't have asked for a better way to launch his career with the Jacksonville Armada. The Milwaukee Wave needed to beat the Baltimore Blast twice on Tuesday night to keep their season alive and advance to the Major Arena Soccer League finals. 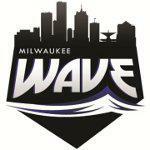 The Milwaukee Wave hope soccer will be played late into the night Tuesday at UW-Milwaukee Panther Arena. After watching a fourth-quarter lead disappear in a Game 1 road loss to the Kansas City Comets in the Major Arena Soccer League Central Division finals Thursday, the Milwaukee Wave pulled out two hard-fought victories on their home turf Sunday to advance to the Eastern Conference finals. Taylor Bond's goal against six Milwaukee Wave attackers with 14 seconds left snapped a tie and capped a second-half comeback as the Chicago Mustangs rallied for a 5-4 victory in a Major Arena Soccer League regular-season finale watched by 6,610 fans Sunday afternoon at UW-Milwaukee Panther Arena. The Milwaukee Wave duo of Ian Bennett and Daniel Chamale and their Canadian teammates were less than 12 minutes away from advancing to the quarterfinals of the CONCACAF Beach Soccer Championship on Thursday afternoon in the Bahamas. The Milwaukee Wave remained red-hot Saturday night, holding off the visiting Kansas City Comets 7-5 to clinch a Major Arena Soccer League playoff berth. Ian Bennett recorded his seventh hat trick of the season and veteran Marcio Leite scored in his season debut as the Milwaukee Wave continued their strong second-half surge with an 8-2 victory over the Cedar Rapids Rampage in front of a crowd of 4,165 on Sunday afternoon at UW-Milwaukee Panther Arena. Coach: Giuliano Oliviero, third season. League: Major Arena Soccer League (Central Division). Home arena: UW-Milwaukee Panther Arena. Tickets: $16.50 to $56.50. Single-game ticket available through TicketMaster; three-game and season-ticket packages also available.